Stanford scientist Sue McConnell will be one of 15 U.S. professors to receive $1 million over the next five years from the Howard Hughes Medical Institute. The grant supports creative approaches to science education; McConnell will use it to sustain a program that teaches biology seniors to communicate science to the public through art. 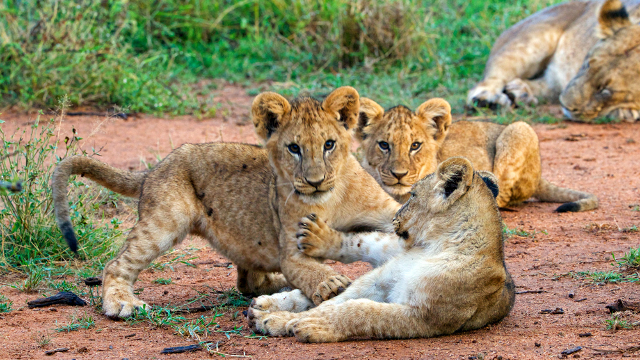 As a developmental neurobiologist, McConnell studies how brain cells are created and wired together, but she gets out of the lab in a dramatic way as a conservation photographer. 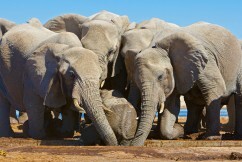 Her images of Namibian elephants have been on the cover of Smithsonian magazine. "I understand how potent the arts can be in communicating science," she says—a potency she sees as necessary for policy change. "It's pretty clear that information isn't having the impact on public decisions that we'd hoped." This view motivated McConnell to create "The Senior Reflection" in 2010, with acclaimed writer Andrew Todhunter as co-director. The course is run like a creative writing workshop—a new experience for many of the students, who are mostly pre-medical. "A number of students come into the program saying 'I'm not creative,'" says McConnell. But over the academic year they discover and develop their talents with the guidance of local artists. The HHMI grant money will fund honoraria for these creative mentors, as well as salaries for Todhunter and writing teacher Russ Carpenter. "We see a lot of students taking important pieces of themselves and their science, and really trying to connect them," McConnell says. 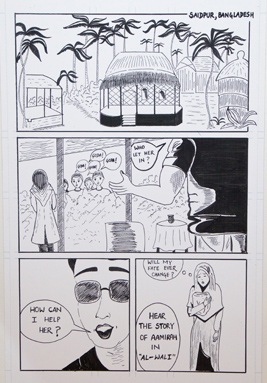 One created a graphic novel about lymphatic filariasis, a painful and disfiguring parasitic infection, hoping to help people she met during a summer internship in Bangladesh. A student with cystic fibrosis wrote and performed an audio podcast in which she draws parallels between the gradual destruction of her lungs and the environmental degradation of the planet. Doing art instead of research for their senior thesis certainly helps the graduates stand out. "It's all the med school interviewers want to talk about," McConnell says. But do any projects have the broader impact she hopes for? Some show promise. A 2012 sand animation about schistosomiasis was featured in Science magazine. A 2013 quilt portraying the science of breastfeeding now hangs in the maternity ward of Lucille Packard Children’s Hospital. And in both cases, the artists gained commissions for further work. As for the 2014 graduates, the author of the graphic novel plans to translate it into Bengali and distribute it in Bangladesh, to combat the extreme stigma associated with the disease. The cystic fibrosis piece, McConnell is certain, "will go national." The full body of student work is open to public viewing all summer in the first floor of Wallenberg Hall on Stanford campus. Art might seem like a counter-intuitive tool for communicating science, since it resonates with us emotionally rather than intellectually. But that resonance gives art the power to inspire, horrify, chasten, and motivate--a power that Sue McConnell is teaching the next generation of scientists and doctors to wield.